Barely 17 months after the cathartic fall of former president Robert Mugabe, another dictator has been pushed out of power in Sudan following months of popular protests that jolted the military into staging a coup yesterday. After nearly 30 years in power, Sudan's President Omar al-Bashir was overthrown yesterday by the military and arrested. This sparked wild cheers in the northeast African country similar to the jubilation that followed Mugabe's ouster, after 37 years of iron-fisted rule. Another civil conflict has been taking place in the western region of Darfur. Bashir is accused of organising war crimes and crimes against humanity there by the International Criminal Court (ICC). Despite an international arrest warrant issued by the ICC, he won consecutive elections in 2010 and 2015. However, his last victory was marred by a boycott by the main opposition parties. The arrest warrant has led to an international travel ban. However, Bashir has made diplomatic visits to Egypt, Saudi Arabia and South Africa. He was forced into a hasty departure from South Africa in June 2015 as a court there considered whether to enforce the arrest warrant. Protests against Bashir, who has governed Sudan since 1989, have been under way in Sudan for several months. The protests were originally sparked by a rise in the cost of living, but demonstrators then began calling for the president to resign and his government to go. Speaking on state TV, Sudan's Defence minister Awad Ibn Ouf yesterday said the army had decided to oversee a two-year transitional period followed by elections. He also said a three-month state of emergency was being put in place. "I announce as minister of Defence the toppling of the regime and detaining its chief in a secure place," Ibn Ouf said in a statement. It is not clear where Bashir is being held; it is also not clear what will happen to him following his arrest. Ibn Ouf said the country had been suffering from "poor management, corruption, and an absence of justice" and he apologised "for the killing and violence that took place". Contacted for comment yesterday, President Emmerson Mnangagwa's spokesperson George Charamba said Harare would first consult with the Southern African Development Community (Sadc) and the African Union about the events in Sudan before coming up with a position. "We can't have a Zimbabwe position before consulting Sadc and the mother body, the African Union. We will get a cue from them. But the government is following closely developments in Sudan," said Charamba. Ironically, 16 people died in Zimbabwe in January after demonstrators poured into the streets, protesting a huge jump in the price of petrol and diesel. 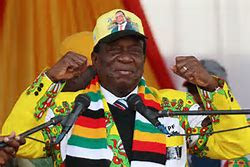 The deaths - at the hands of the military - saw Mnangagwa's government being widely condemned internationally for using strong-arm tactics. What had infuriated human rights defenders more was that on August 1, 2018, the military had killed six people in cold blood for protesting delays by the Zimbabwe Electoral Commission in releasing poll results. In Khartoum, as the news broke, crowds of protesters celebrated outside army headquarters in the capital, embracing soldiers and climbing on top of armoured vehicles. Sudan's intelligence service said it was freeing all political prisoners, state-run Suna news agency reported. In the early hours of yesterday, military vehicles were seen entering the large compound in Khartoum that houses the Defence ministry, the army headquarters and Bashir's personal residence, AFP news agency reported. Government officials say 38 people have died since the unrest began in December, but the pressure group Human Rights Watch said the number was higher. Analysts canvassed by the Daily News yesterday said the developments in Sudan were far much more complex than the soft coup that toppled Mugabe in November 2017 and the Arab Spring that swept aside dictators in Eritrea, Egypt and elsewhere. "This is not a re-play of the Arab Spring, except that, as in Egypt, the military holds the key hand after the huge popular protests," said Stephen Chan, a professor of world politics at the London School of Oriental and African Studies. "As in Cairo during the Arab Spring, the Sudanese and Algerian security forces refused to fire at the demonstrators. That is one huge key difference with Zimbabwe in the months after the departure of Mugabe." Chan said for the Sudan army to get popular support, there was need for a peaceful transition. He said unlike in Zimbabwe where demonstrators poured onto the streets after the military had staged a soft coup, in Algeria and Sudan, it was popular protests which jolted the army into action, on the side of demonstrators. "Having said all that, both Algeria and Sudan are in the early phases of political dynamics that may yet have many twists and turns. These are hugely sophisticated countries with well-educated urban populations. It is too soon to say what the military authorities will to do," he said. Piers Pigou, senior consultant at the International Crisis Group said it was too early to tell what may happen next in Sudan. "The story is not finished in Sudan. Protesters will understandably be unimpressed by the military retaining such an overt political role and one expects demonstrations will continue," said Pigou. "A big question is whether the military will try and enforce the curfew or navigate the national mood more cautiously. It is essential that violent confrontation is avoided if possible. The Sudanese security sector does not have a reputation for sensitive crowd control! "Unlike Zimbabwe, whose military-assisted transition, maintained a veneer of legality, developments in Sudan appear to have more overtly crossed the line in terms of an unconstitutional intervention. How will the AU respond? Bashir was regarded as a legitimately-elected leader. Will they turn a blind eye as they did in Zimbabwe? The latter at least enabled a cloak of avoidance." Tendaiwo Peter Maregere, an expert in transitional justice, said coups in Africa were becoming a game of musical chairs whereby the more things change they more they remain the same. "I am struggling to decipher what lessons can be drawn given the fact that both revolts followed the Zimbabwean transition and nothing positive, in my view, has come of them. They are to me a game of musical chairs.